Remove these with methylated spirits. Black pepper, baby powder or Borax sprinkled under rugs will deter ants. If fresh, wash with warm water. 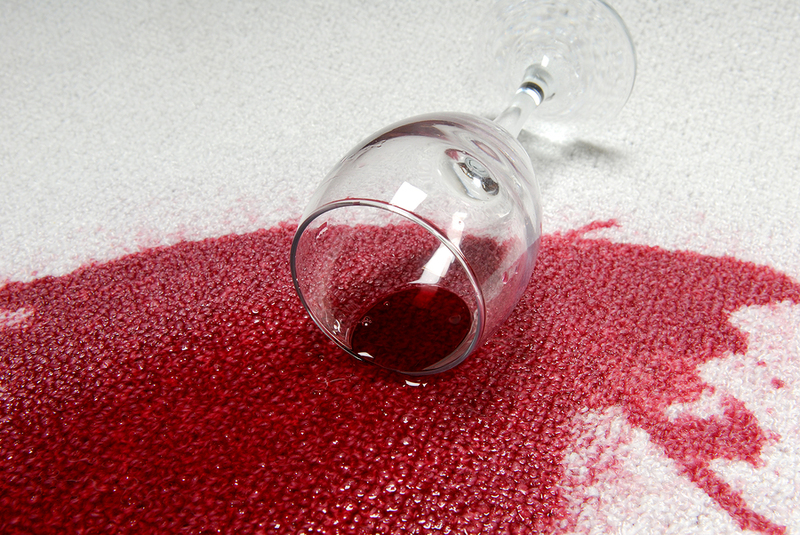 If dried, scrape off excess with a mix of mild detergent and water, adding a few drops of ammonia to remove stain. Where carpet has been flattened by heavy furniture, place ice cubes on the area and the carpet will lift as the ice melts. To deodorise carpet, sprinkle generously with baking soda before vacuuming. Wine: If just spilt, soda water can be used with a paper towel. If it has been there for some time, dampen the spot and apply Borax. Leave Borax on the stain until it is dry then vacuum. Fruit juice: Make a solution with one teaspoon of Borax and 1⁄2 litre of warm water to sponge over the area. Lipstick: Dab the spot with eucalyptus. Oil: If just spilt, put talcum powder on the spot to absorb oil, then sponge with eucalyptus. Pour a small amount of bleach down the sink to bring drains up nice and bright. A damp cloth is normally sufficient to clean doors, however if they are heavily marked use a detergent solution. Do not use a scouring pad. Use a garden hose and a stiff broom to remove cobwebs, dirt and dust. Keep crushed mint on the kitchen bench to deter flies from entering the kitchen, or leave some bay leaves on your windowsills. Mint also deters fleas. For coloured grouting use Epsom salts and a soft brush to clean off residue. For white grouting use bleach with a soft brush to remove residue. 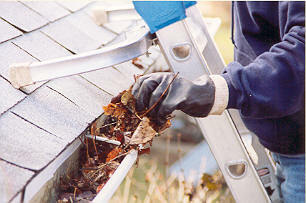 Gutters should be cleaned out regularly, especially prior to winter to avoid damage. To remove hairspray marks from mirrors, rub with a soft cloth with methylated spirits. Sprinkle Borax powder around skirting boards or appliances to repel unwanted guests. Warning: Borax can be toxic to children and pets so use with caution. Sticky labels can be removed by rubbing with Eucalyptus, tea tree oil, acetone or Brasso. Most stains and marks can be removed by rubbing with toothpaste on a soft cloth. To prevent bathroom mirrors from steaming up, rub the mirror with a cloth dipped in glycerine and polish off with a soft cloth. Mix six parts of kerosene to one part detergent. Leave on the area for approximately five minutes then hose off. A damp cloth dipped in baking soda will remove grease and stains from the glass. To clean the oven, warm for 15 minutes, turn off and place full strength ammonia in a saucer on the top shelf and a pan of boiling water on the bottom shelf. Leave overnight with the door closed. The next morning open the door for 30 minutes (avoid the fumes) and wash off grease with detergent and hot water. Orange peel heated in the oven will remove any lingering smells. Cloudy ammonia is good for use on oven racks, trays and rangehood filters. Simply soak overnight and wipe clean. Line griller tray and under elements on electric cooktops with aluminium foil to catch food scraps and drips and remove and replace it when dirty. Contact your Property Manager before using any hooks at all. If glazed, wipe with kerosene on a soft dry cloth. If unglazed, mop with an equal mix of linseed oil and turpentine. Rubber stains can be removed from kitchen floors with tea tree oil. To remove rust from sinks and wash-tubs, cut a lemon in half, dip the raw edge in salt and rub over the rusty area. Rinse with cold water. Alternatively, rub vinegar on a cloth and clean the area, then rinse with cold water. Sand is good for absorbing spills and oils on outside areas. To clean stains from the toilet bowl, squirt with household bleach and leave overnight. The lid should be removed regularly to avoid build up under the seat. Remove the lid by loosening the two wing nuts at the back of the bowl and slide off. For unknown stains the safest ingredient to use is Eucalyptus. Just dab Eucalyptus on the affected area. Vaseline is good for use on door hinges to stop doors squeaking. Walls should be washed down with warm soapy water and not spot cleaned. A new or clean squeeze mop good to clean walls with. To clean windows add 1⁄2 cup of methylated spirits to a bucket of water.